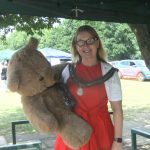 Bracknell Town Council > Community News > Teddy Bears’ Picnic a Success!! Teddy Bears’ Picnic a Success!! A great day was had by all at the Teddy Bears’ Picnic held at Jocks Lane Park yesterday, 21st June. The sun was shining as the crowds gathered to explore many of the fantastic stalls the event had to offer, from personalised pencils made from twigs to the popular merry-go-round. 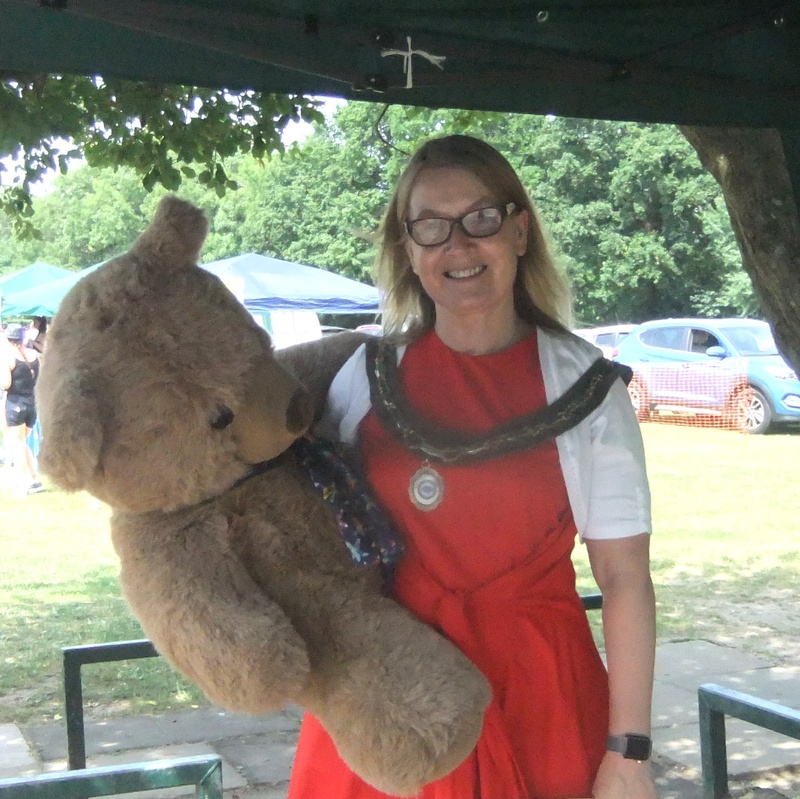 Councillor Sandra Ingham, Deputy Town Mayor attended with her teddy bear, Edward. Edward was thrilled to ride on the swings and bounce on the bouncy castle along with the children. Raffle prizes were kindly donated by local businesses, organisations and charities. A BIG thank you for those who attended, volunteered and helped to bring the community together for this great day!